Building coverage is designed to protect the structure of your home or business and cover appliances and other property items that are consdiered part of your property including air conditioners, dishwashers and cabinets. You will also want to consider coverage for your personal property as well, such as furniture and clothing. 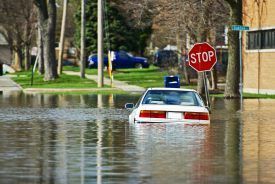 Policies have different options so contact one of our agents at 937-878-3413 for any questions you may have about your Ohio flood insurance policy.